Yuki is a 3 year old female English Pointer. In April of this year she came into Manchaca Road Animal Hospital with the complaint of weakness, weight loss, squinty eyes, and not eating much. We last examined her in March and at that time she weighed 54 pounds. In one month’s time she lost 10% of her body weight, down to 49 pounds. Finally a breakthrough in oral health care with a product that forms a barrier against bacteria filled plaque. We apply the professional barrier at Manchaca Road Animal Hospital after we clean your pet’s teeth. Then we send home the “plaque prevention gel” for you to easily apply at home once a week. Nutramax has been supplying the veterinary community with excellent products for many years beginning with Cosequin in the early 1990’s. Cosequin was a smashing success and many other products followed. 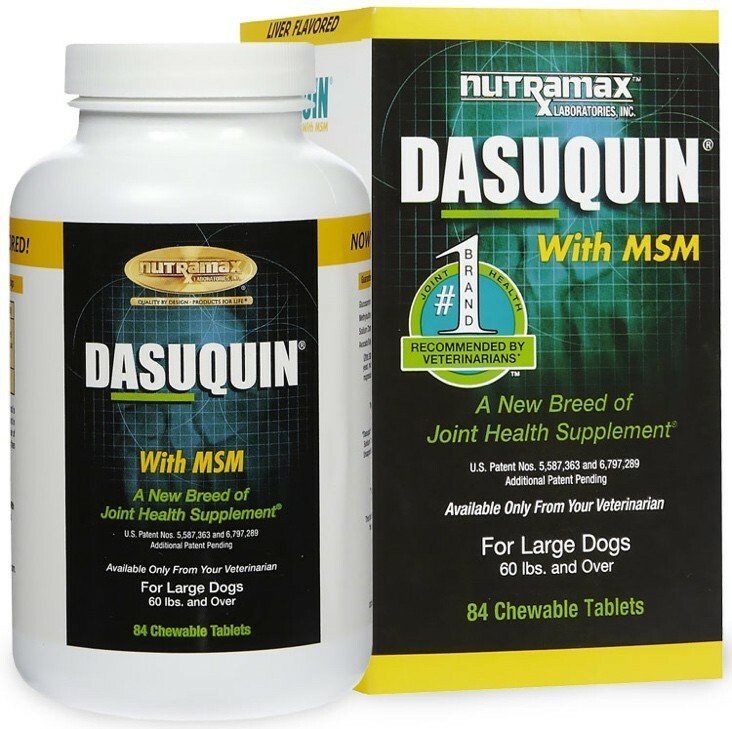 With their outstanding reputation for adhering to self-imposed, strict regulations and quality control, Manchaca Road Animal Hospital is confidant their new product “Dasuquin” will not disappoint. Lizzie Hughes is a six year old Great Dane. She was adopted from a Dane rescue group in Fort Worth. She had been abandoned at the age of 5 months, at an animal control building. She was left tied to a pole, was malnourished and had mange. After much love and tender care, she now has a wonderful life as part of the Hughes family. During her visits to Manchaca Road Animal Hospital, we love finding excuses to help spoil her. Manchaca Road Animal Hospital’s “Product of the Month” is Bayer’s new topical flea treatment and heartworm prevention. This exciting new product also prevents intestinal parasites. With Bayer’s usual 100% guarantee and internationally recognized integrity, this should prove to be a popular and convenient new weapon in the heartworm and flea prevention arsenal. Everyone has asked the burning question… “What should I be feeding my pet?” There has been much frustration over the recent scare with pet food. The information we have so far indicates that a shipment of wheat gluten from China was contaminated. In late March the agent melamine, used in plastic production and as a fertilizer in Asia, was identified as the possible cause of illness. All the foods containing this source of wheat gluten have been removed from the market. A 9-year-old male Lhasa Apso came into the clinic on March 12, 2007. Another dog had attacked him the previous weekend. Initially he was treated at another vet clinic were his wounds were cleaned and he was started on antibiotics. When the pet first presented to our hospital, the wounds were large black areas where the skin had been traumatized. It was evident that these areas of skin would eventually die and slough away. This leaves an open wound. Bite wounds are contaminated and should be treated as open wounds in order to allow drainage and healing by granulation tissue. Wow! Where Were You In 1974?